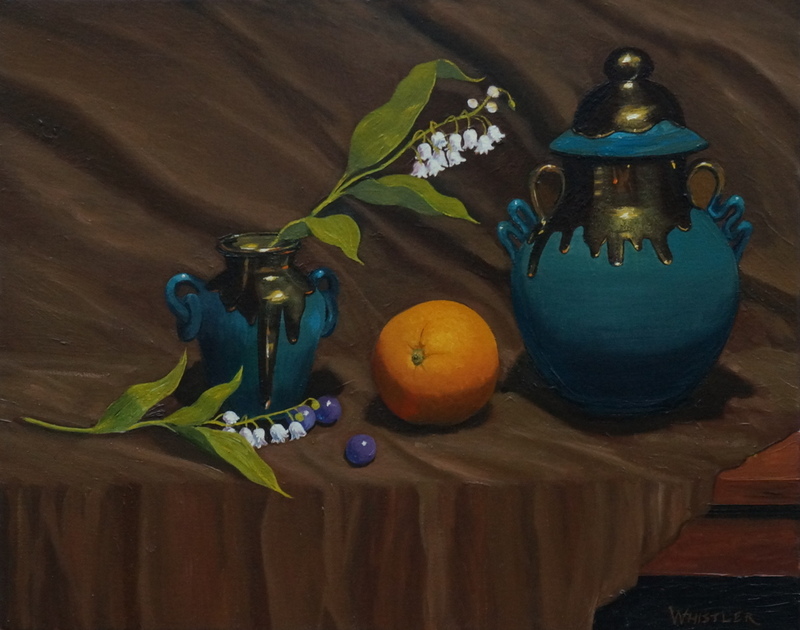 Blue Vases with Orange Traditional Oil Painting on Canvas. Comes framed, traditional wooden frame with walnut stain, mounted and ready to hang. 8" x 10"9" x 11.5"11" x 14"13" x 16.5"15.5" x 19.75"